Summer 2019 Host organization applications are now closed. Applications for Fall 2019 will open on May 6, 2019. We have completed our review of Summer 2019 Host Applications and sent out the last of the approval emails. If you have not received an email from us then you are on our wait list. Should more funding become available, we will reach out to the hosts on our wait. ECO Canada's new CO-OP Program provides a wage subsidy of up to 50% to a maximum of $5000 to employers hiring students in an environmental role. As part of Canada's Work-Integrated Learning strategy, we are matching students with employers in the environmental sector to help them on the path to a bright career. Funding is for 12 to 16-weeks of paid student work-terms. Students gain valuable on-the-job experience. 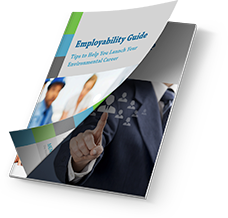 Employers increase their resource ability and talent pool. Students: Current university or college students studying in the areas of Science, Technology, Engineering or Math (STEM) and Business qualify for our Co-op Program. Students must be a Canadian Citizen, Permanent Resident, or have Refugee status. Students on a work permit or visa are not eligible. Employers: ECO Canada through ESDC Career Focus program will provide up to 50% of a Co-op student’s pay in wage subsidies. Employers must be able to provide full-time work (minimum 30 hrs per week) for a 12 to 16-week term duration in an environmental capacity to be eligible for funding. Post-Secondary Institutions: We will be working closely with universities and colleges to help students bridge the school-to-work transition. ECO Canada provides career support services to environmental students and professionals. We’re committed to youth employment in the environmental sector. Post-secondaries will receive support from ECO Canada in marketing Co-op opportunities and placements. We created 2000+ jobs last year and 90% of interns acquired full-time employment through our Wage Funding program. We gave $25.1 M in wage subsidies to employers creating career opportunities for new graduates. Hear from our 2016-2017 Wage Funding program participants about their experiences. Read our case study of AWES and discover how Wage Funding benefits both employers and interns in our interview. Access key insider information from ECO Canada to get noticed and get hired! View our free webinar for tips on resumes, interviews and networking.